There are so many great restaurants located along the Murrells Inlet MarshWalk that it's hard to choose just one — so don't. Instead of enjoying a four-course meal at one of the dozen or so establishments connected by the wooden waterfront walkway, take a page out of Ernest Hemingway's memoir 'A Moveable Feast' and have one course each at four different restaurants. Take the short stroll on the MarshWalk and stop in for a few small tastes of what the 'Seafood Capital of South Carolina' has to offer. * Appetizer: Choosing the right starter is an important decision in more ways than one. Not only does it set the tone for your moveable feast, it also determines which end of the MarshWalk you start with. Kick off your tour on the north end of the MarshWalk with some fresh sushi at Wahoo's, or start on the south side by bellying up to the raw bars at Creek Ratz or The Claw House, the newest addition to the MarshWalk that serves delicious lobster, oysters and shrimp cocktails. One word of caution: Most MarshWalk restaurants serve free hushpuppies, and they are tasty. Don't fill up on the fried-dough treats, or you will never finish this culinary journey. * Dinner: The biggest meal should be reserved for the best restaurants, and that's a hard list to narrow down. But among the many award-winning eateries, Capt. Dave's Dockside stands out above the rest. Featuring fresh seafood classics prepared by Capt. Dave's acclaimed chef, this upscale establishment specializes in Lowcountry favorites like shrimp and grits, hot crab casserole and famous fried seafood platters. Another fine choice is the sister restaurants Wahoo's and Bovine's, which provide the perfect surf-and-turf combinations. Bovine's wood-fired filet and smoked oysters are a Murrells Inlet legend. * Dessert: Enjoy some fresh salt air and take a break before you dive into the next course, because the best desserts on the MarshWalk are almost like meals themselves. Among the favorites are Wicked Tuna's Key lime pie or its unique s'mores baked Alaska, a merger of the classic camping snack and the flaming dessert that will literally melt in your mouth. Other one-of-a-kind desserts you will only find on the MarshWalk are Creek Ratz's Murrells Inlet wedding cake, a Moon Pie smothered in tasty toppings, and Drunken Jack's famous hushpuppy sundae, a melting mix of their hot hushpuppies and cold ice cream. * Drinks: After the food portion of the feast is complete, switch gears to some liquid refreshments and enjoy some live music and the fun atmosphere of the MarshWalk. Drunken Jack's popular Drunken Jack's punch is a tasty rum drink that pays tribute to the restaurant's namesake, a pirate who was stranded on one of the nearby islands with only a stash of rum. The Dead Dog Saloon and Bubba's Love Shack also serve a wide selection of drinks, in addition to providing live music and good times late into the evening. 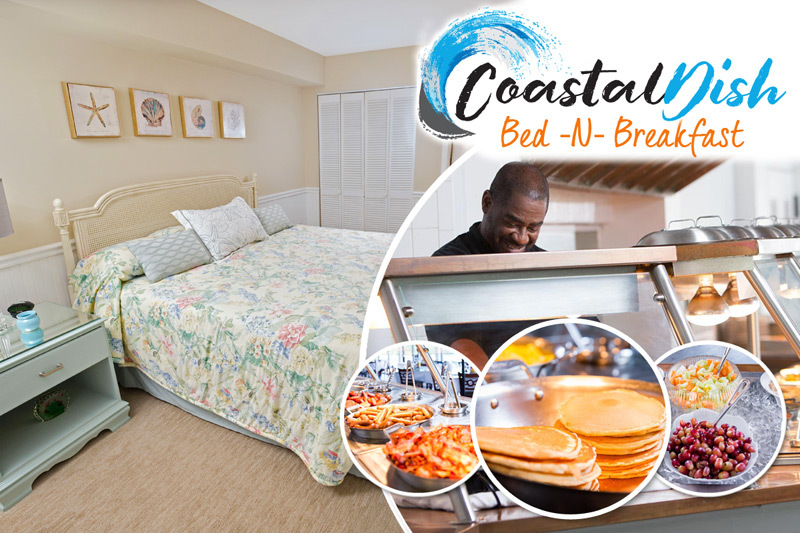 After taking in a fantastic meal and memorable moments on the MarshWalk, take a short cab ride back to Litchfield Beach & Golf Resort and get a good night's rest. 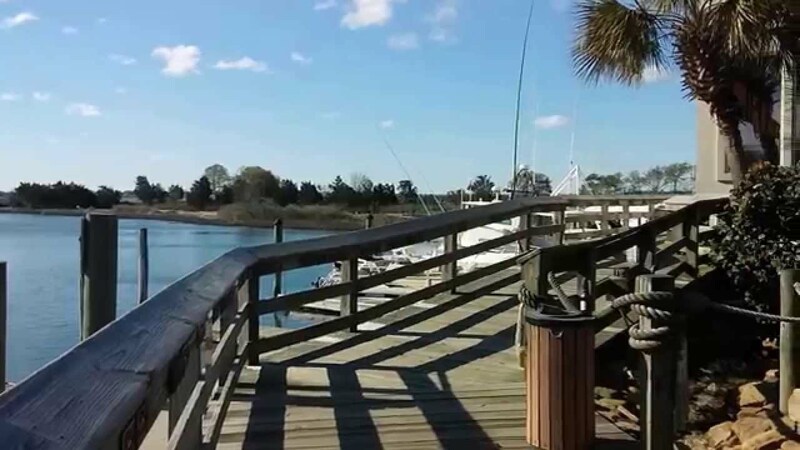 It may take your body a little time to digest all the great food you've consumed, but there's no better place to enjoy a moveable feast than the Murrells Inlet MarshWalk, and no better place to recover than Litchfield Beach.